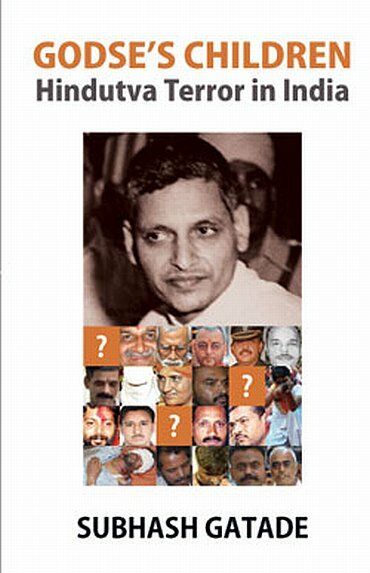 His book Godse's Children -- Hindutva Terror In India is creating quite a storm. The author, Subhash Gatade, is an engineer by training and a freelance journalist and translator by choice. He has written extensively on issues of communalism and Dalit emancipation. 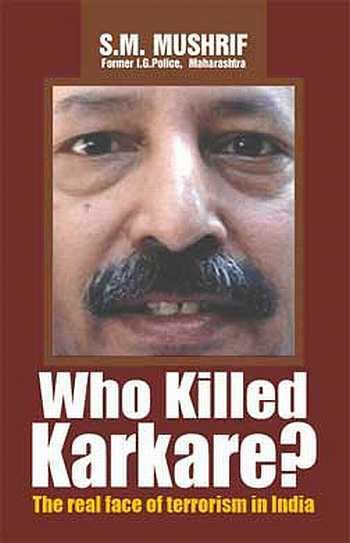 His book focuses mainly on the phenomenon of Hindutva terror and their perpetrators. While discussing his book he also goes on to say that the term Hindu terror should never be used and instead it be called as Hindutva terror. In the first of three-part interview with rediff.com's Vicky Nanjappa, Gatade discusses why many cases remain unsolved and adds that the job of the investigating agency has been highly unsatisfactory. Tell us a bit about your book and how it has been received? The book mainly focuses on the phenomenon of Hindutva terror which has made its presence felt in the first decade of the 21st century. It is underlined in the beginning that all sorts of terrorisms may it be by state actors or non-state actors (which includes jihadi terror/Islamist terror/fassadi terror as well) need to be questioned, challenged and ultimately eliminated. It is broadly divided into five sections. The first part deals with the historical background of the case and makes it clear that Hindutva terror is not a recent phenomenon. Starting from the assassination of Mahatma Gandhi, at the hands of Nathuram Godse, it also brings forth hitherto less reported incidents involving Rashtriya Swayamsevak Sangh activists in terror acts such as the Shikarpur bomb blast (Karachi, 1947, Economic and Political Weekly, July 8, 2006) which saw deaths of two pracharaks or the terror plot discussed by Rajeshwar Dayal, the first home secretary of United Province then in his autobiography (A Life of Our Times, Orient Longman, 1999) which exposed the sinister design of the RSS workers to organise a pogrom against Muslims in western Uttar Pradesh. Referring to Veer Savarkar's historic monograph Hindutva (Delhi: Bharti Sahitya Sadan, 1989) which clearly differentiates between Hinduism and Hindutva ('Hinduism, is only a derivative, a fraction, a part of Hindutva.Here, it is enough to point out that Hindutva is not identical with what is vaguely indicated by the term Hinduism') the book emphasises the need to term the terror turn engaged in by majoritarian formations here as 'Hindutva terror'. It underlines that similar to the differentiation between 'Islam as religion' and 'political Islam', we need to differentiate 'Hinduism as religion' and Hindutva as a political project. The second part deals with particular cases of Hindutva terror and their perpetrators, for example an explosion in a gurukul in Gurgaon, RSS Pracharak Sunil Joshi's forays into terrorism and his murder by his own people, the Ajmer and Modasa bomb blasts etc. This section also has chapters on the role of Sanatan Sanstha, Hindu Janjagruti Samiti in terror acts, or for that matter the Nanded bomb blast (April 2006) which really brought forth the systematic manner in which people associated with RSS and allied outfits were engaged in terror acts. The third section throws light on the role of international linkages and networks of different Hindutva formations in collecting funds, mobilising resources and supporting the cause which has added further ferocity to this project. The fourth section deals with how different benign-looking factors are creating a favourable ground for violent actions of Hindutva supremacists. The last section focuses itself on the limitations of secular formations which have failed to anticipate this new terror turn in Hindutva politics. It ends with underlining the Himalayan task which awaits the investigating agencies as they are yet to nab any of the masterminds, planners, financiers and ideologues of these terror attacks despite ample evidence. As far reception of the book is concerned, I am glad to say that it has been well-received by the people. Looking at the number of emails I have received -- with a demand that it be translated into major Indian languages -- or reviews which have appeared here and there, the response could be said to be fabulous. Perhaps this has also to do with the fact that it is the first book of its kind on this theme. 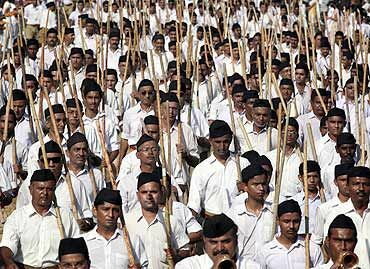 Is the threat by Hindu radicals higher for India when compared with Islam? Every fanatic which claims allegiance to a faith and is ready to throw bombs on innocents or kill them indiscriminately -- supposedly to further the 'cause' of his/her version of religion -- or ever ready to turn into a human bomb at a crowded place is a threat to humanity. We should see to it that law of the land is applied equally in all cases -- whether s/he belongs to a 'majority' religion or to a 'minority' religion. As far as your question is concerned, one sincerely feels that it is difficult to quantify the relative threats. Remember the period when India witnessed Khalistani terrorism, which involved a fraction of the misguided youth of the Sikh community and the danger it posed to peace and tranquility in the country then. Why has it taken so long for the police to crack down on this phenomenon called Hindu terror? Please do not term it Hindu terror, it should be termed Hindutva terror. We should not accord any legitimacy to those people who want to tarnish the image of Hinduism by their anti-human acts. 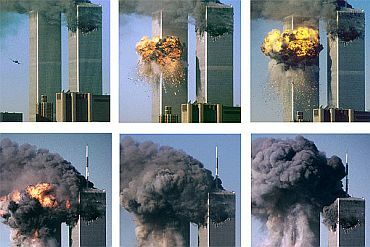 We should remember that this phenomenon took wings mainly in the post '9/11' ambience where United States, under the then President George Bush had unleashed its war against terror which turned itself into war against Islam. Our rulers then who had always cherished the idea of Hindu rashtra found this ambience very conducive to their 'cause' and who lost no time in enacting measures which could please the US rulers. This ambience must have emboldened the Hindutva fanatics -- part of the larger Hindutva family -- to go for this new terror turn wherein they could do the killing themselves and call the victims the perpetrators. We should also not forget that not only the investigating agencies, but the police in this country appears to be partial when it comes to dealing with issues involving the biggest minority community. A cursory glance at the Sachar Commission's report makes it very clear. The near absence of minority officers in premier investigating agencies must have impacted the probe at various levels. Looking at the fact that the communal common sense still has a upper hand in the articulate sections of our society, it was difficult for upholders of secularism and democracy, to expose the machinations of the majoritarian communal forces. The phenomenon could be exposed when Malegaon II (September 2008) happened where bombs were planted by Hindutva terrorists killed a few innocents and the then United Progressive Alliance regime led by Congress -- which had come under lot of attack for its dillydallying on the issue of minority protection -- entrusted the responsibility for investigations to a no nonsense officer Hemant Karkare (ATS chief Maharashtra, who was later killed during the Mumbai 26/11 attacks). This particular issue does not seem to have a continuity and the issue rakes up only during high voltage political situations. Why is this the case? If one is ready to look at the terror acts holistically, then we will definitely find continuity. Terrorism by any particular group not only involves the actual act but also involves lot of preparation as well. It involves collecting funds, managing explosives and arms, preparing people to take up this cause, training them to use weapons, finding suitable places and occasions to enact the final version etc. And a cursory glance at any of the newspapers makes it clear that Hindutva supremacists have been very meticulous in their preparations. For example, S M Mushrif, retired Inspector General of Police of Maharashtra in his well received book Who Killed Karkare gives details of around 50 examples randomly culled from newspapers in Maharashtra which provides details of arms training, storing of explosives etc. The absence of 'continuity' (as quoted by you) could be explained in other ways. Multiplicity of agencies engaged in investigating similar cases, lack of coordination between them, difficulty encountered by Federal agencies to undertake any case in a particular case as law and order happens to be a state subject under our constitution. Take the case of Samjhauta Express bomb blast, wherein one finds that the then Haryana police encountered lot of resistance from its Madhya Pradesh counterparts when they went to Indore to unearth few leads. It is hoped that the formation of National Investigation Agency (after the 26/11 terror attack) which has been specifically entrusted the responsibility of terror acts may remove a feeling of 'drift' and 'absence of continuity' in investigations. Don't miss the second and third parts of this interview next week.